St. Paul, MN – In an agreement announced today, Green Flash Brewing Co. and Wirtz Beverage Minnesota, will partner to debut the San Diego-based brewery’s lineup of specialty craft beer throughout Minnesota. Beginning October 1st 2013, Green Flash’s award-winning portfolio including the brand’s widely respected offerings West Coast IPA ™, Hop Head Red™, Double Stout and Le Freak™ will be available statewide in bottles and on draft. New, seasonal and specialty Green Flash selections such as Green Bullet™ Triple IPA and their Hop Odyssey draft-only series will also be distributed by Wirtz Beverage Minnesota. The addition of Green Flash to the distributor’s strong craft portfolio will satisfy consumer demand for new and innovative West Coast style brews. “Wirtz Beverage is committed to quality so we’re really excited to bring these great craft beers to Minnesota consumers,” said John Considine, Director of Beer Sales, Wirtz Beverage Minnesota. “Green Flash has a solid following in the craft beer community. Our experts, relationships and statewide reach will go a long way in helping them grow in the market. Green Flash Brewing Co. was established in 2002 by the dynamic husband and wife team Mike and Lisa Hinkley, and is now one of the leading breweries in San Diego’s thriving craft beer community. In 2004, renowned Brewmaster Chuck Silva joined the Green Flash team to develop the brand’s lineup of signature brews including their West Cost IPA™, an award-winning beer that has helped define a category. The Green Flash lineup of premium, seasonal, collaborative and barrel-aged beers have found a niche in the craft beer market and the brand has a strong national following. With added availability in Minnesota, Green Flash will be available in 43 states. 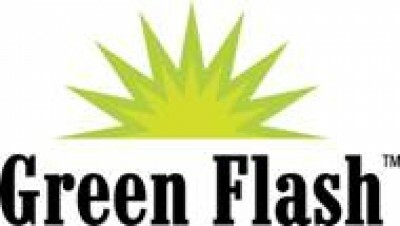 Wirtz Beverage will support the Green Flash launch with kickoff events and ongoing activation in the on- and off-premise, including guided tastings, concentrated sales training and a variety of consumer events. Green Flash joins other acclaimed brands within the company’s dedicated craft beer portfolio. Green Flash Brewing Co. is located in San Diego, California, and was founded in 2002 by Mike and Lisa Hinkley. Brewmaster, Chuck Silva, leads brewing operations. Green Flash is an award-winning brewer of fine, hand-crafted ales, and specializes in brewing assertive and distinctive beers, such as the nationally acclaimed West Coast I.P.A. : an award-winning beer whose wide acceptance has helped define a category. Green Flash brews a variety of beer styles that are available on draft and in bottles as well as a growing lineup of seasonal and special offerings, including several barrel-aged beers, throughout the year. Learn more about Green Flash Brewing Co. by visiting www.greenflashbrew.com. Tagged: Green Flash Brewing Co.